Many parents experience great difficulty in making their children write. It is very simple and easy to make writing fun for children. Scrapbooks are a great way to encourage writing in your children. Let your child scribble on his/ her own until he/ she learns to have controlled writing. Children love to draw pictures, Encourage them to create their own scrapbook. Guide them, don’t instruct them, give ideas not suggestions, about making their own scrapbooks. Colouring pages, writing simple letters or words, two liners and stories with pictures, etc. are quite enjoyable. Children will love them. This is the second tip to make writing fun for you and your kid. This is an interesting activity that brings lots of joy and happiness in your family. Go for a never ending story with your family. Remember that everyone in your family should be a part of this game. Take a notebook and write a few lines or a paragraph of a story. Or ask your kid to start the story. Let another member continue with the story. Just continue with the story as you like. It doesn’t just improve the writing skills of your child, but also enhances creativity. For younger ones, who are new to writing, you may follow the similar concept, orally. This could be really fun! Allot a day or half a day or at least a couple of hours in a day to observe silence. Make sure to have the entire family for this activity. No one speaks a single word during this period. Make all communications through writing or drawing. Get papers, pads and even a black board or a dry easy board. Write everything to communicate. It helps improve writing skill a lot. This is one of the most entertaining and fun activities that improve the creativity of your children. Also, it makes kids improve their writing skills. Encourage your child to create greeting cards for various occasions and guide them. Ask your child to write small notes or a little poem or a wish message in the greeting cards. Pamper them with small gifts and hugs and praises to motivate them. Here comes your next tip to encourage the writing skills in your children. Make writing fun by playing a treasure hunt. It is a simple game, plan with your children and all other family members. Think about a theme, hide something, may be a new gift for your kid. Hide clues, written on small bits of paper, all over the house, which will ultimately lead to the hidden gift. Make your child participate in this game by preparing the clues and writing them on papers or notes. This will be really fun and exciting. Newsletters come at periodic intervals. Make your family-time entertaining and fun with newsletters. Let your family create newsletter every week or fortnight or even monthly. Decide on various columns and try to keep the topics very simple as you are doing to make writing fun for your children. You may add some columns like short stories for kids, arts and drawings of your children, simple tips, achievements, jokes and riddles. Make your child actively participate in this effort and encourage him / her to come out with all the ideas. Preserve every newsletter like a treasure; it would give you immense happiness! Kids love pictures, don’t they? Make writing fun with story writing. Show or draw a picture and let the children form a story inspired by the picture. It is a natural tendency that children associate everything with a picture. If they can’t picture something, they can’t say. 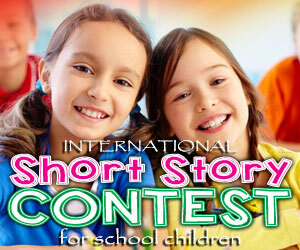 Pass out a funny picture and encourage your child to invent stories. You can do it with a group of children showing random pictures. This is for pre-schoolers who are taught the alphabets. Buy alphabet and number toys, which come in various colours. Teach children about alphabets and let them pick the right one or arrange them in order. Let them write seeing the alphabet toys. Gradually, as they learn to name and identify the alphabets, ask them to arrange the toys in order and write on the paper. In this way, you can teach children words. This is a good old game that most of us would have played in our childhood days. You may need a minimum of two children to play this game and help them build their writing skills. Take a paper, or even a blackboard would be fine. Write a word and ask the first child to write another word that starts with the ending letter of the previous word. Then ask the second child to write another word beginning with the last letter of the previous word. For instance, if you write APPLE, ask the first one to write a word starting with letter ‘E’ say ELEPHANT, the second child may then write any word starting with letter ‘T’ – for example, TIGER and so on. This is a game similar to the vocabulary building game. It helps develop general knowledge in addition to improving the writing skills. Ask the children to take a paper and write four or five columns, naming them, NAMES, PLACES, ANIMALS and THINGS. Give 10 points for each correct answer in each column. Repeat the same until all alphabets are covered. The child with most points becomes the winner.